Armed raiders smashed their way into a bank in the middle of Morley this evening. The incident happened shortly after 5pm at a branch of the Halifax on Windsor Court, near Morrisons. A police car parked at the bottom of Windsor Court last night. 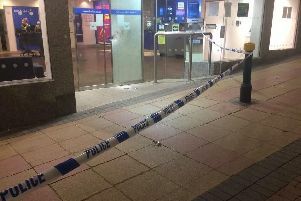 Two men wearing balaclavas and carrying sledgehammers broke through the door of the bank, which had closed for the evening. Staff were present but are said to have locked themselves in a room at the back of the premises as the raid unfolded. The robbers fled empty-handed and made off in a vehicle. Reports on social media have claimed one of the men was carrying a gun but a spokesman for West Yorkshire Police has confirmed no firearms were involved. Windsor Court in Morley. Picture: Google. No one was injured in the incident and police are appealing for witnesses to contact them on 101. 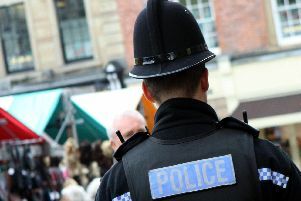 Officers were also called to a nearby branch of Yorkshire Bank, on Queen Street, shortly afterwards amid reports of a second robbery but that incident proved to be a false alarm.